As another Diwali approaches, we reflect on what Diwali means to us. The story of Diwali is nested among two timeless forces: light and darkness. Indians see it as an opportunity for a reset to the mind, body, or spirit. It’s easy to let the momentum of your life take you into a rabbit hole of thoughts that convince you that the path you are on only leads to darkness. Diwali reminds us that the paths to light were there all along. The mind is capable of so much, yet there are times in our lives that we forget that it is capable of placing filters of darkness over our everyday experiences. There’s this voice that emerges telling us that we’re not good enough, that we can’t overcome a challenge, or that the struggle is too much for us. In Steven Pressfield’s The War of Art, he labels this voice as “resistance”. He mentions that we must fight it anew everyday. Diwali is about the battle against our internal resistance. Your inner resistance prevents you from actualizing your path through the light. In science, we use the past as a way to predict future outcomes. The mind can use the past to create future misery. The paths paved by light remind us of our ability to change our relationship with the past, and ultimately use it to create a better future. Simple things like forgiving yourself can function as a neurological life-hack. You can improve the quality of your life and align it with your dharma. You aren’t married to your past. It doesn’t have to be part of your personal ethos or part of your neurological system. It (the thought) isn’t you, and those neurons don’t have to keep firing. As we focus on the spiritual benefits of forgiving ourselves, there are physiological benefits to this as well. You’ll reduce stress and anger, which can both cause or worsen diseases. The technical definition of forgiveness doesn’t revolve around perfection; it’s about developing and increasing understanding of situations that lead to hurt or anger. It’s about taking less personal offense, reducing anger, and not looking for blame. It is a stepping stone on the path to a growth mindset. Planning is important, but it can often lead to paralysis by anxiety. We have to take that first diligent step. The step towards Diwali serves as a reminder of strength, diligence, and patience. Moving back towards the light can help us get out of our comfort zones and start a new chapter. We wish you the best in your journey towards the light. President Obama had Indian supporters on their feet when he wished Saal Mubarak and became the first US president to publicly light the Diya in celebration of Diwali in 2009. Prior to Obama, there was a hilarious episode of The Office titled “Diwali”, written by Indian cast-member Mindy Kaling, that received critical reception. It was a meaningful moment for Indian culture as it was the first time an American comedy series depicted Diwali. 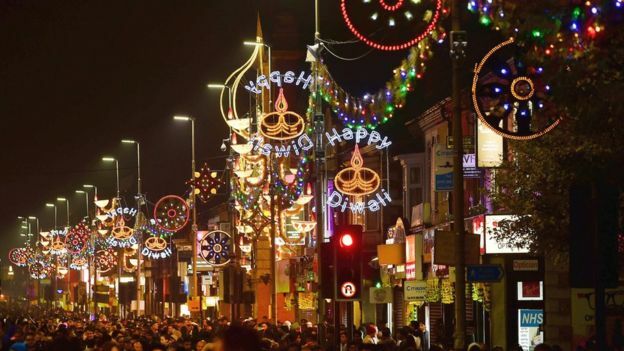 As Diwali approaches, we’d like to have our say on why we think people appreciate this beautiful pluralistic Holiday. Copyright 2014 Patel Brothers, All rights reserved.